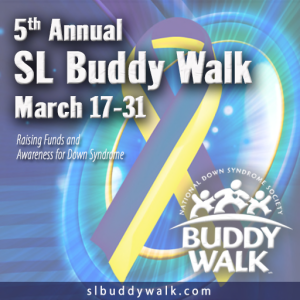 The Buddy Walk® was established in 1995 by the National Down Syndrome Society to celebrate Down Syndrome Awareness and to promote acceptance and inclusion of people with Down syndrome. It is also the world’s most widely recognized public awareness program for the Down syndrome community. Last year in RL there were over 295 Buddy Walks world wide.